Our Best Answer - What is the Bronco Mentoring Program? 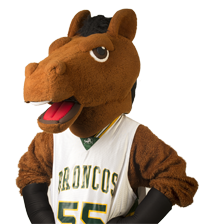 The Bronco Mentoring Program is sponsored by the Cal Poly Pomona Alumni Association with the purpose of preparing students for an exceptional educational career. Alumni serve as mentors and guide current students with career path questions and/or professional field issues. Alumni mentors are available for students from all of our eight colleges and you can select the mentor that best meets the criteria you specify. Contact is primarily through the Handshake portal. For more information, go to the Bronco Mentoring Program website.